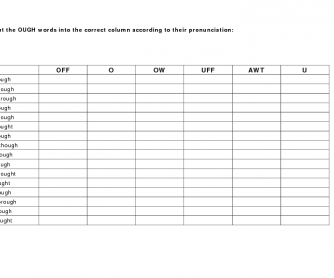 This is a worksheet group I developed to help my ESL students with the ever difficult -OUGH pronunciation. 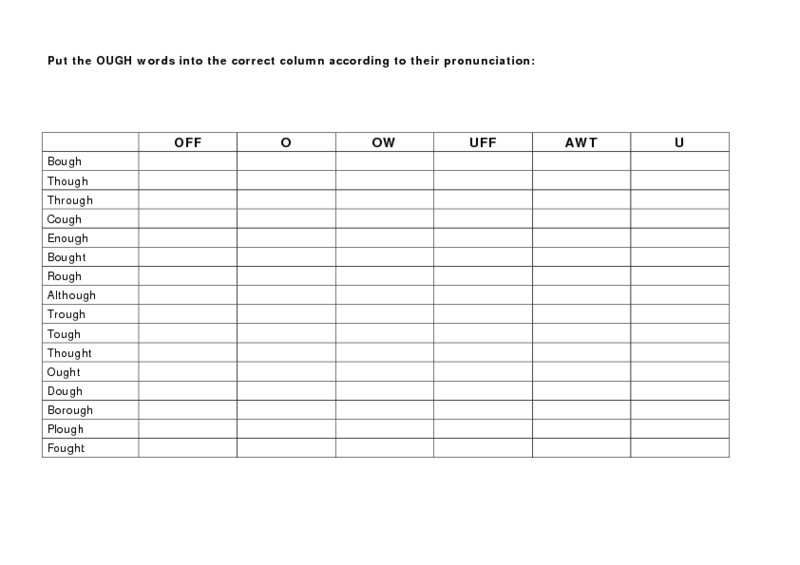 There is a short silly story and a chart with the most common British and American English "-ough" words. This is a practice sheet which can be used later to reinforce the lesson.